We recently had some good news which called for a celebration when my boyfriend got himself an amazing new job. We knew exactly what to do: brunch! 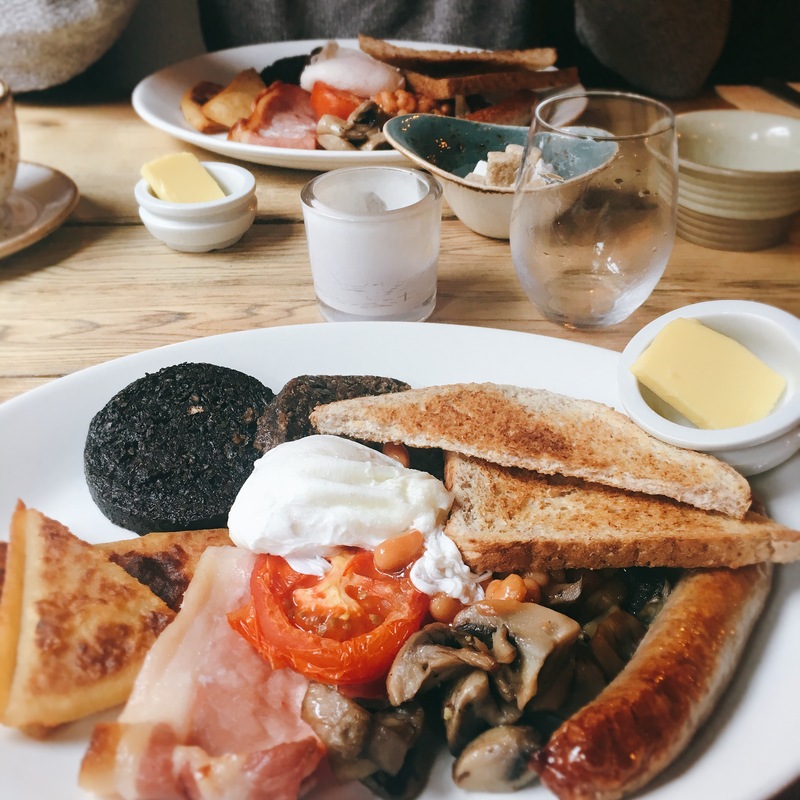 Since moving to Edinburgh, I’ve sampled many a breakfast through the brunch events at Athena Collectiv but me and the boyfriend (and Stan) haven’t ventured out much considering our deep love for a good brekkie! 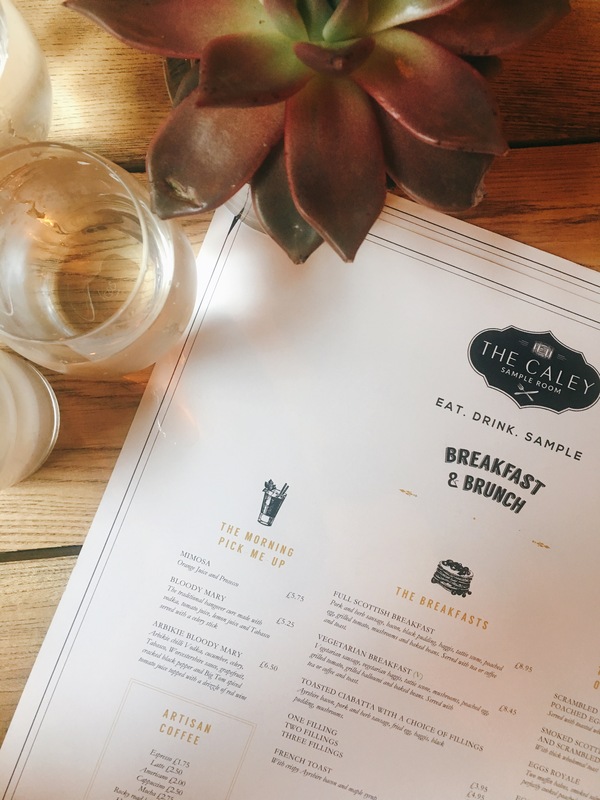 We headed to the Caley Sample Room, having consulted the Dugs ‘n’ Pubs app to see where we could go with Stanley without having to go right into the centre. It’s just behind Gorgie Road, on Angle Park Terrace. We were welcomed warmly and immediately brought a big bowl of water for Stan along with a complimentary bowl of milk treats for him and his very own menu. Yep, that’s right, you can buy your dog dog-beer if you’re that way inclined ‘so they don’t feel left out’. Cute. Most of the stuff is free which is amazing for dog lovers. We both went for the full Scottish: sausage, bacon, mushrooms, beans, tomato, haggis, black pudding, poached egg, tattie scone, toast and a free cup of tea or coffee (including the good ones, not just the filter option). All of this for just £8.95. That’s actually a bargain. So much so that I questioned the bill when we got it, but was assured that two breakfasts and two hot drinks were indeed £17.90. It was all really good, but the tattie scone and haggis were the best bits. All of it was good quality and cooked well. The eggs were runny, maybe a touch on the watery side but my only gripe would be that you should cut off the straggly bits of egg white to tidy it up. 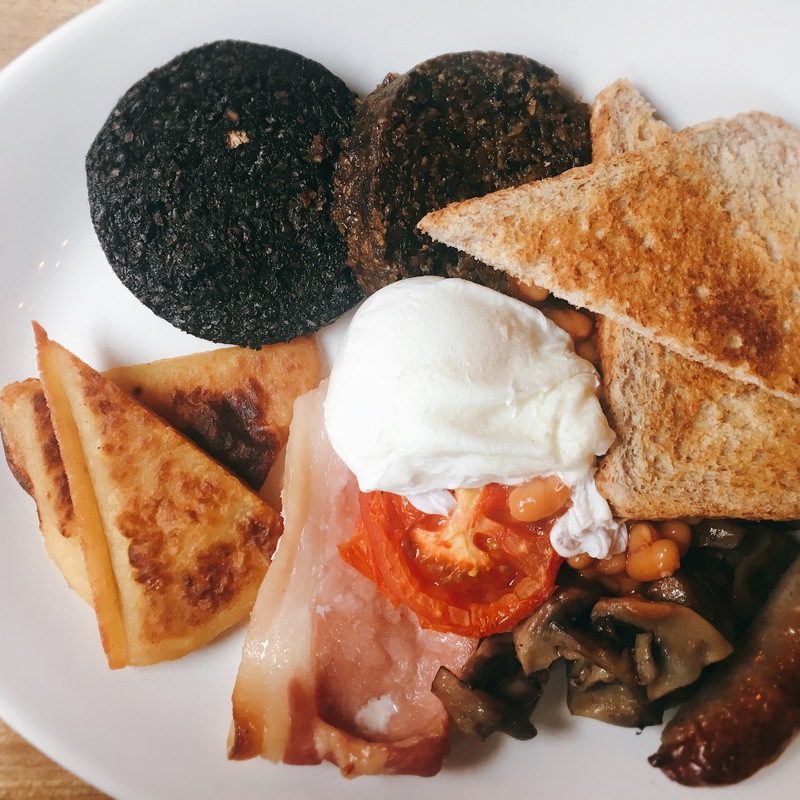 With both a fresh tomato and beans, haggis and black pudding, toast and tattie scone, they’ve really covered all bases to ensure that everyone gets their perfect breakfast. The service was great, not a hint of a Sunday morning hangover in either of the girls who served us, and they were just the right amount of attentive. Will we be back? Yes, I’d definitely go back. The food was good and the service even better. What more could you ask for? That it’s all under £20? Check! 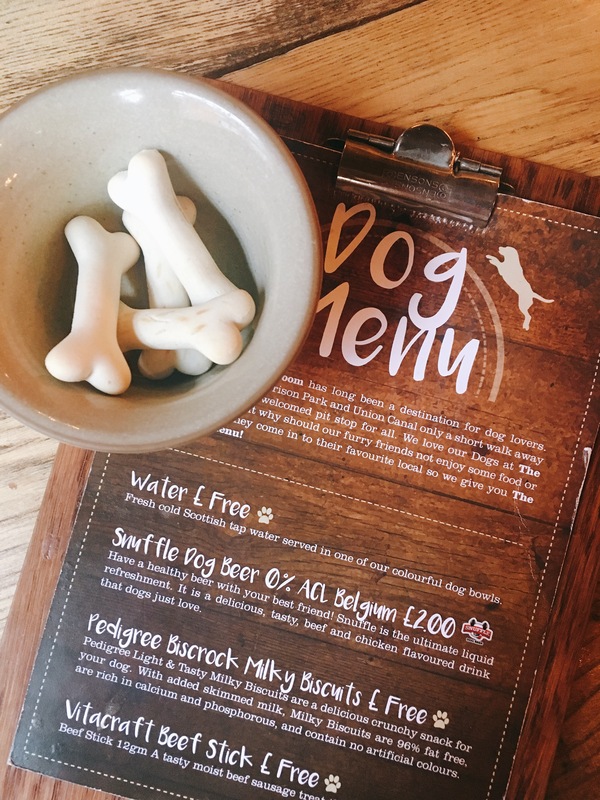 I can’t believe the doggy menu! I hope your fellow canine diner appreciated the service, hehe! Ended up here for dinner once. Loved the menu. Shall try brunch! Can’t get over what good value it was!